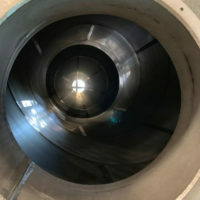 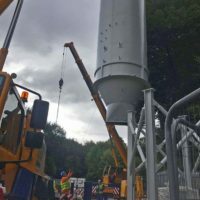 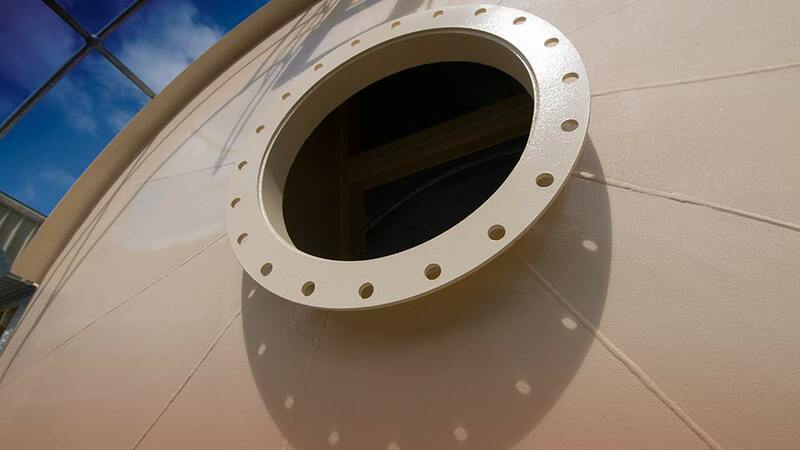 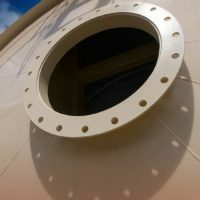 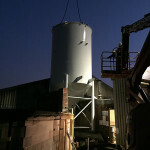 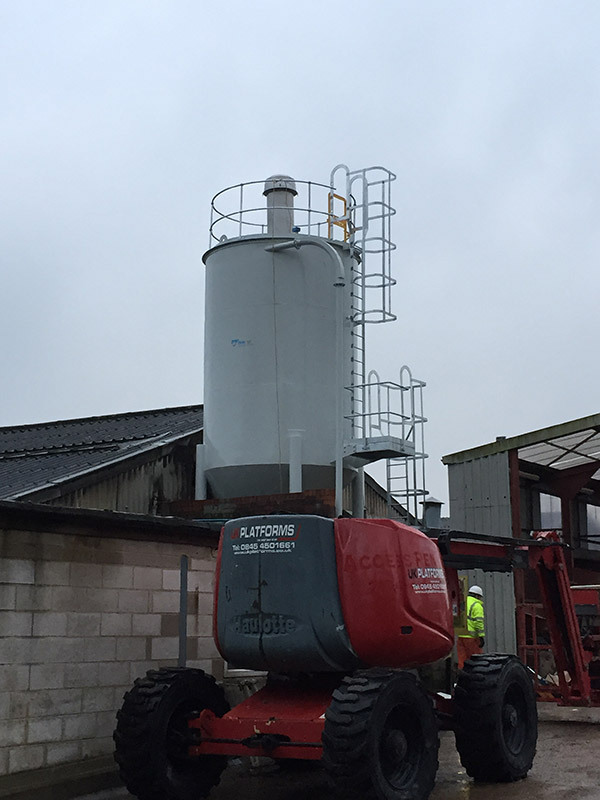 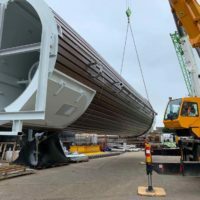 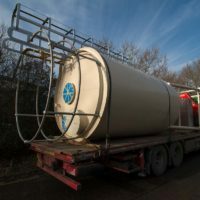 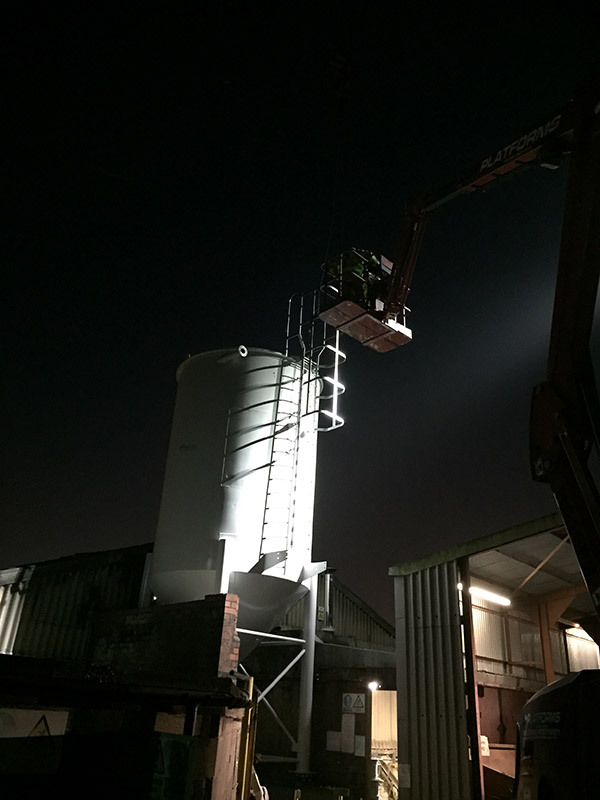 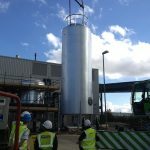 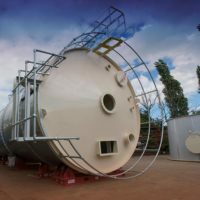 Design and manufacture of storage silos – Spirotech-SRD has an outstanding record of fabricating and constructing steel silos for both raw material and liquid storage. 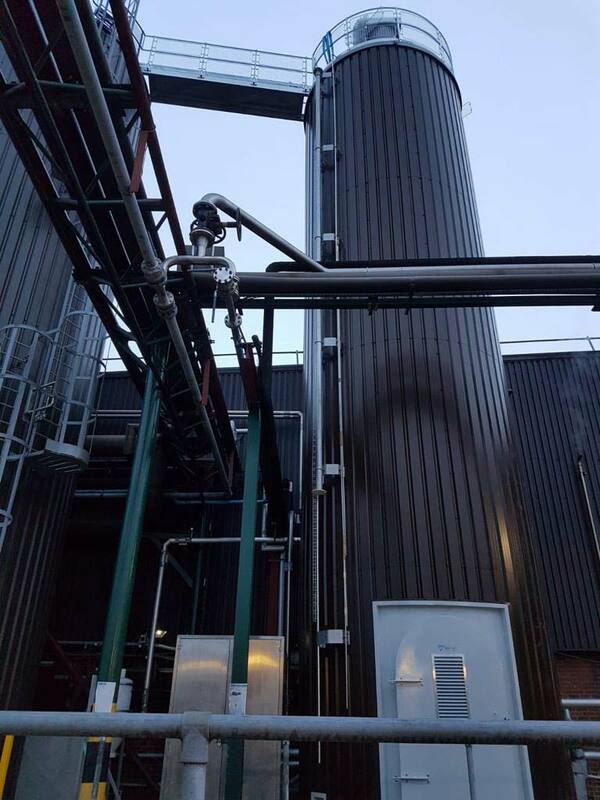 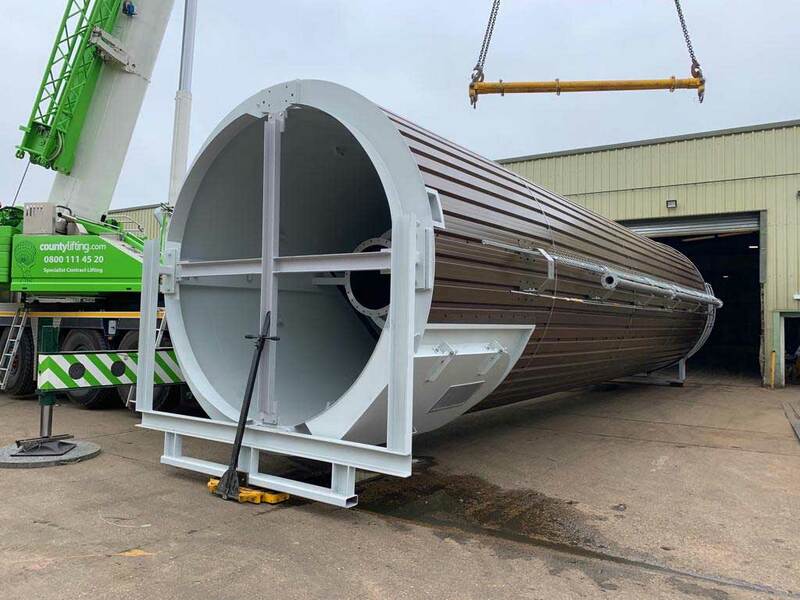 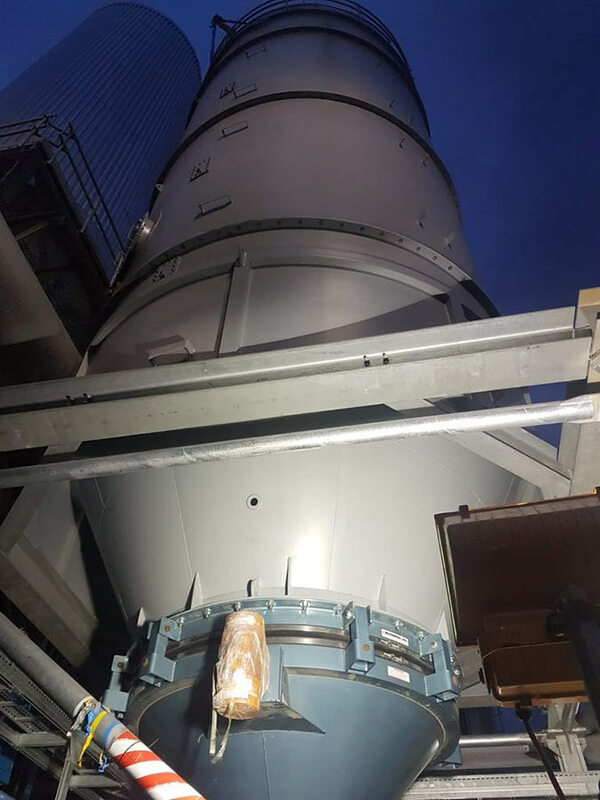 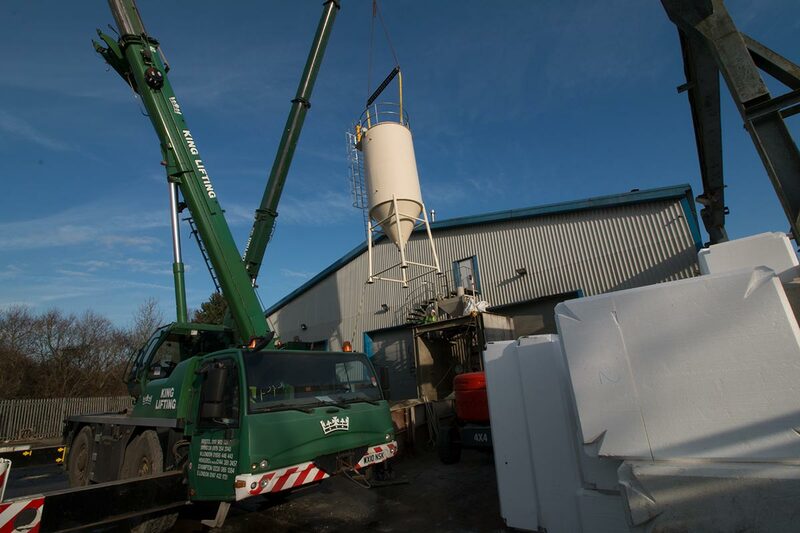 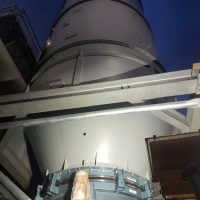 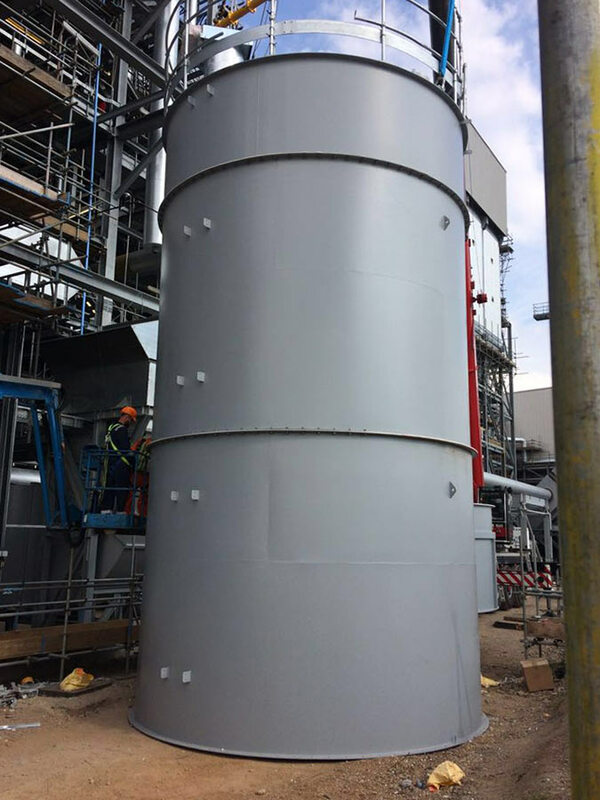 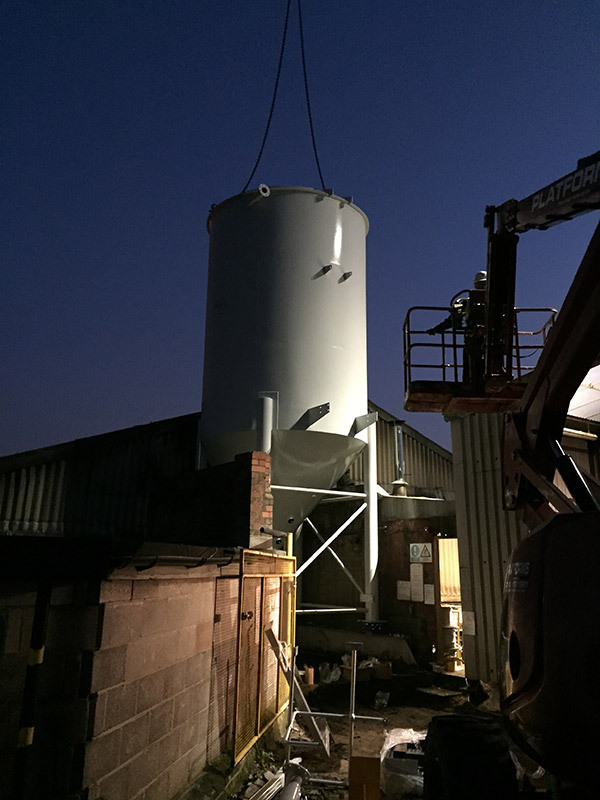 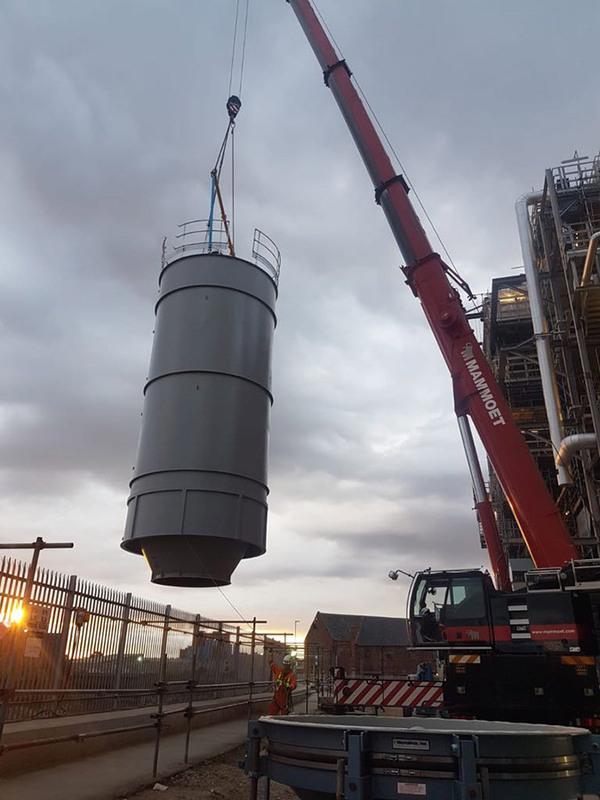 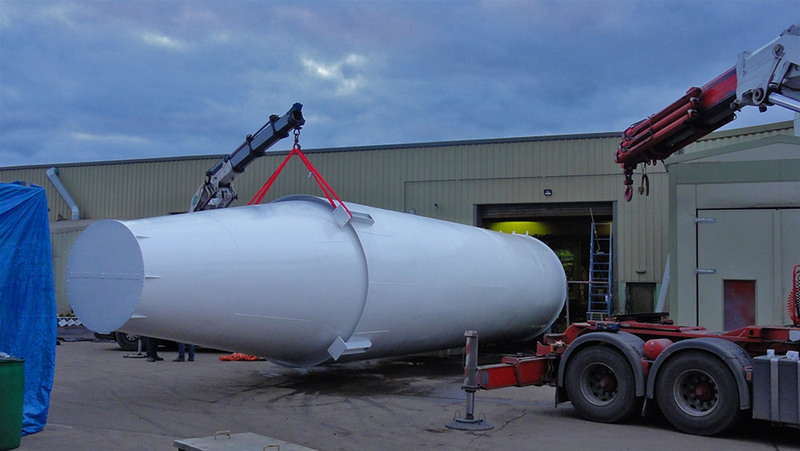 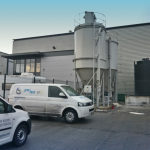 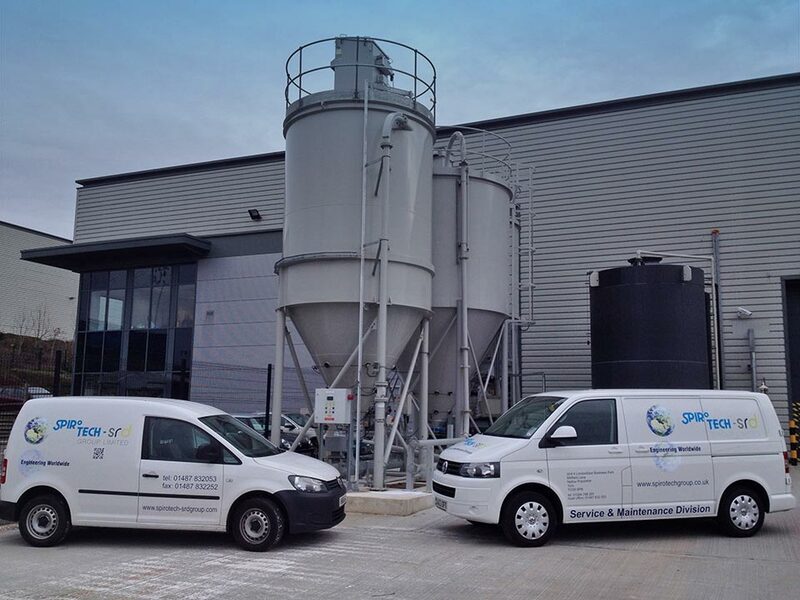 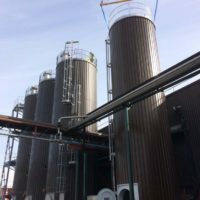 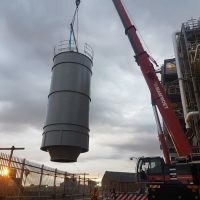 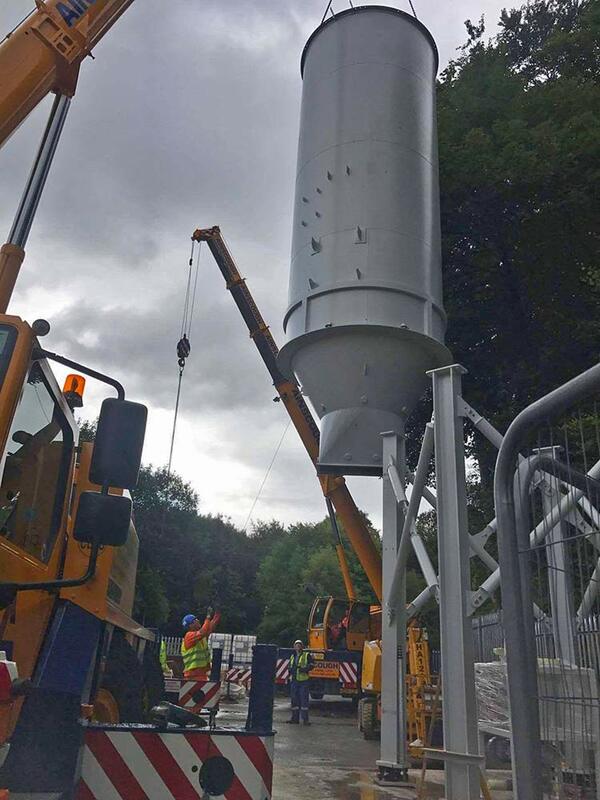 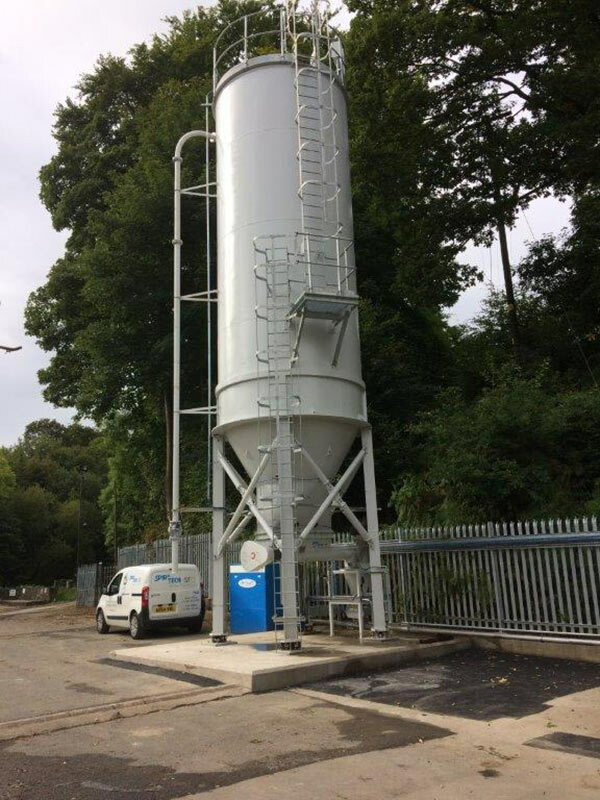 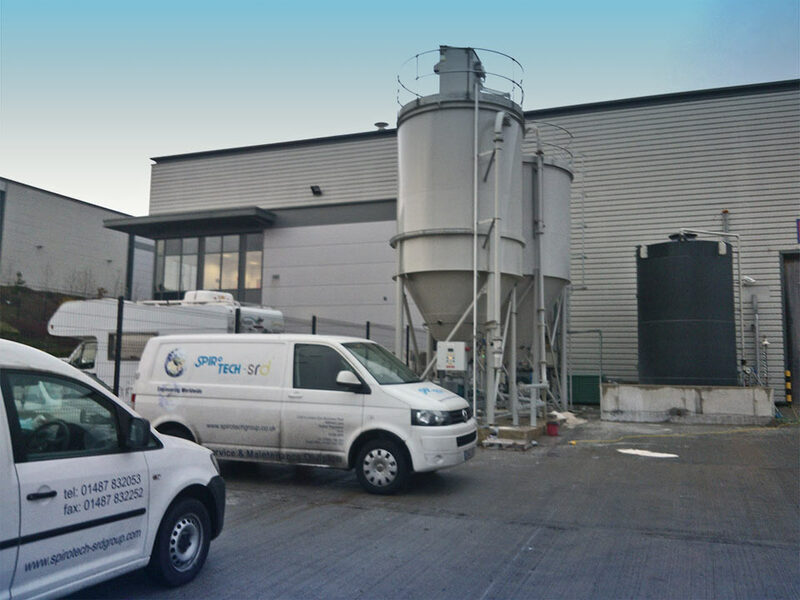 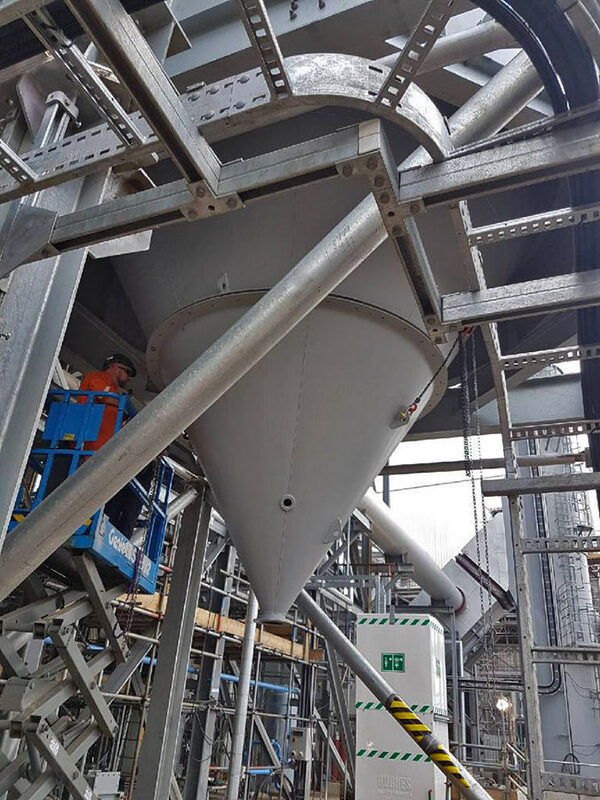 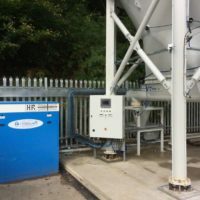 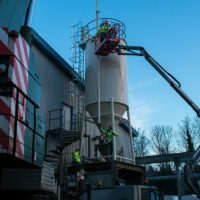 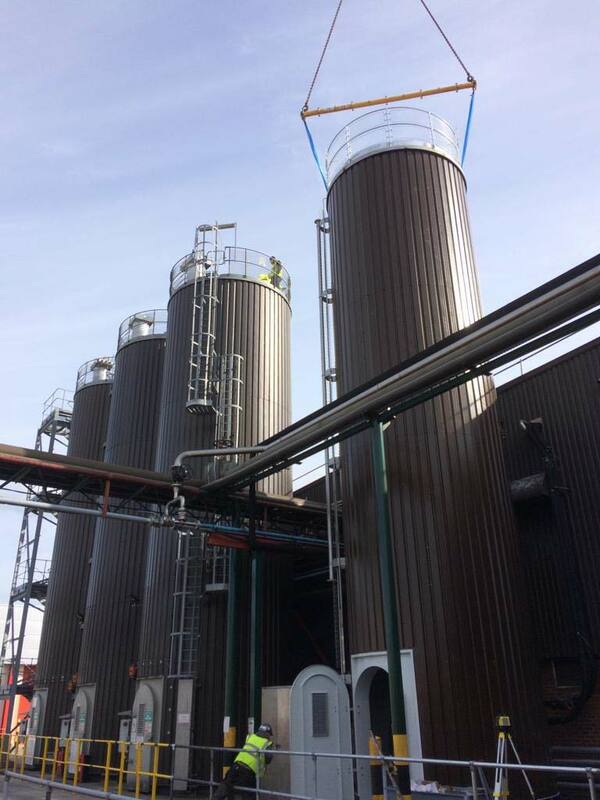 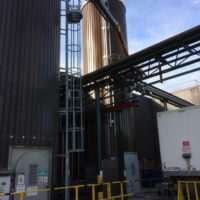 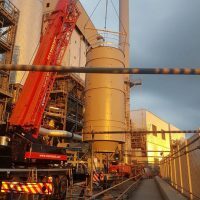 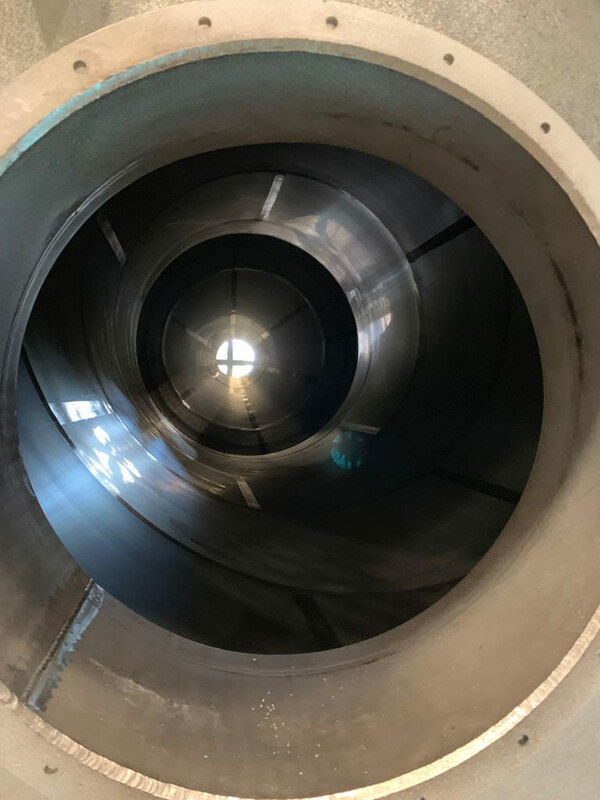 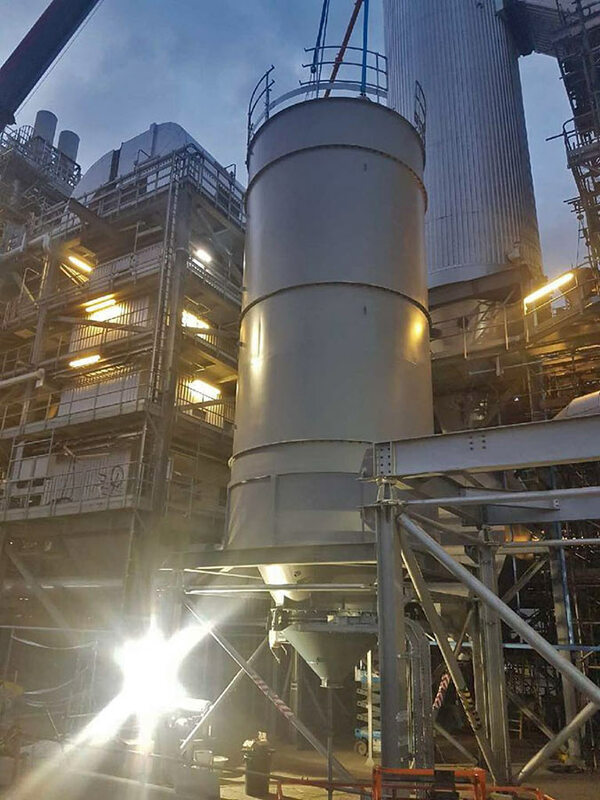 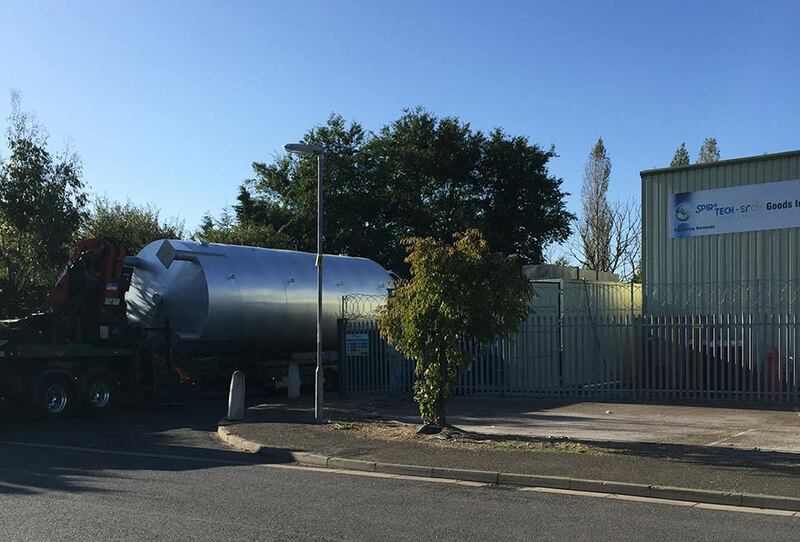 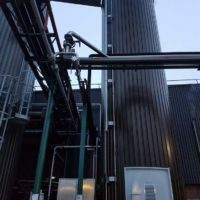 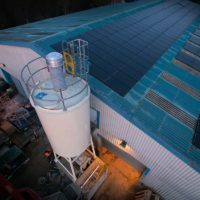 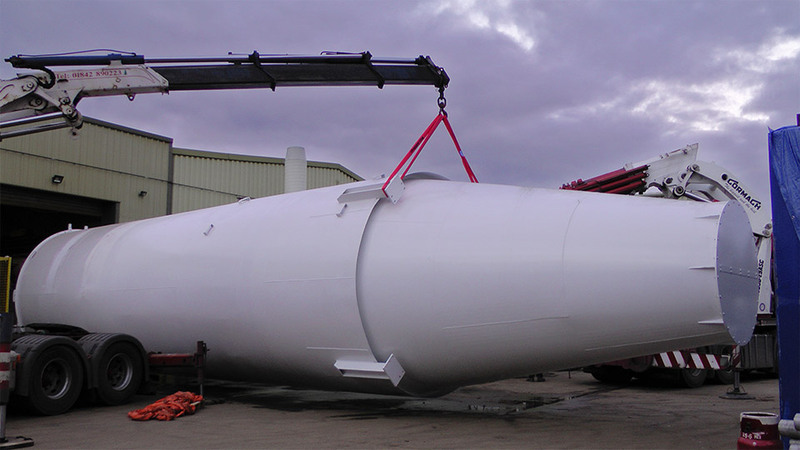 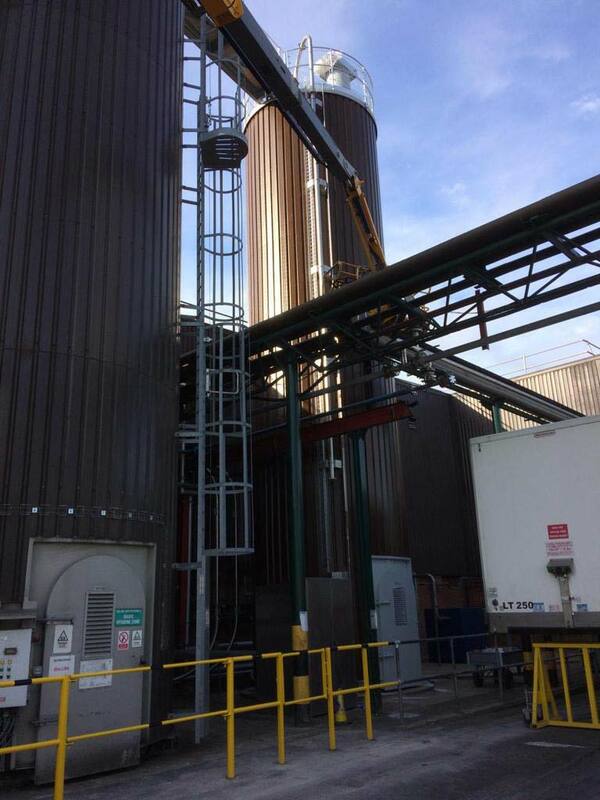 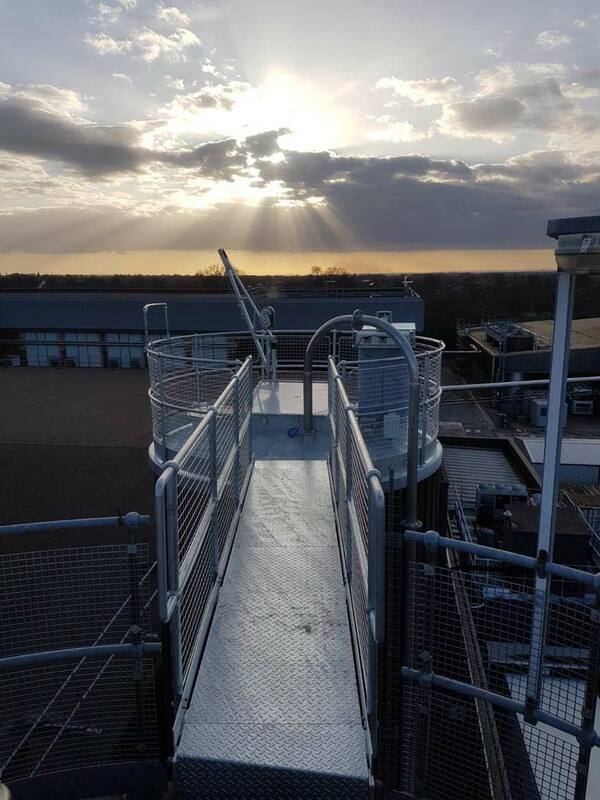 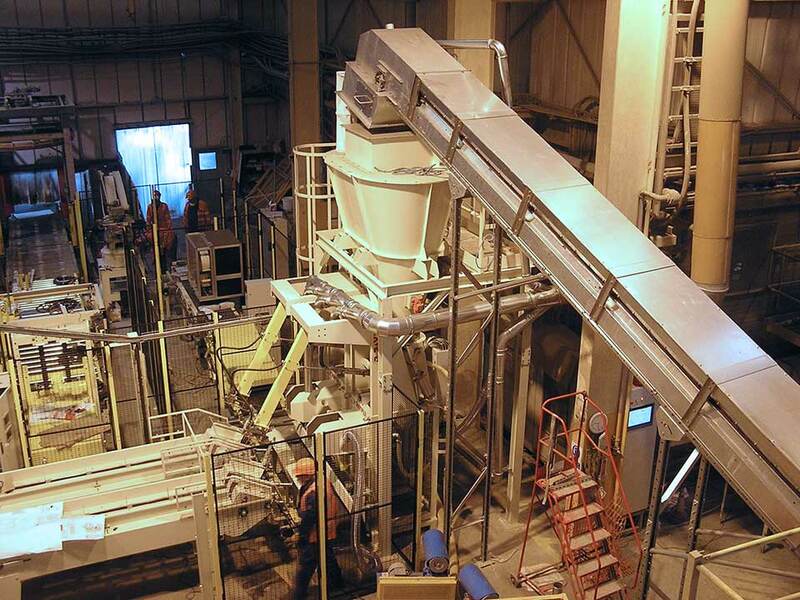 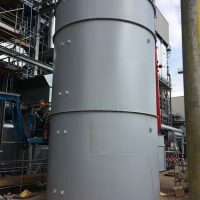 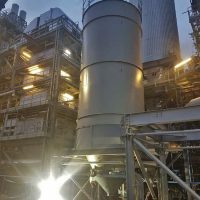 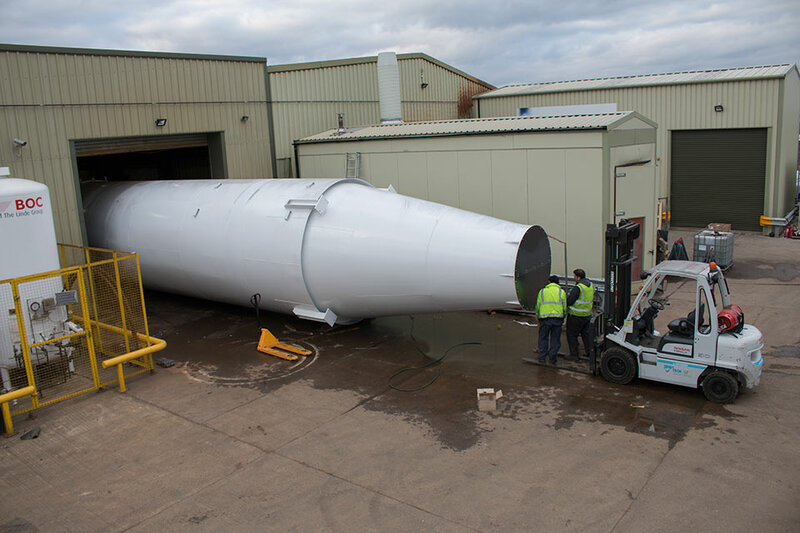 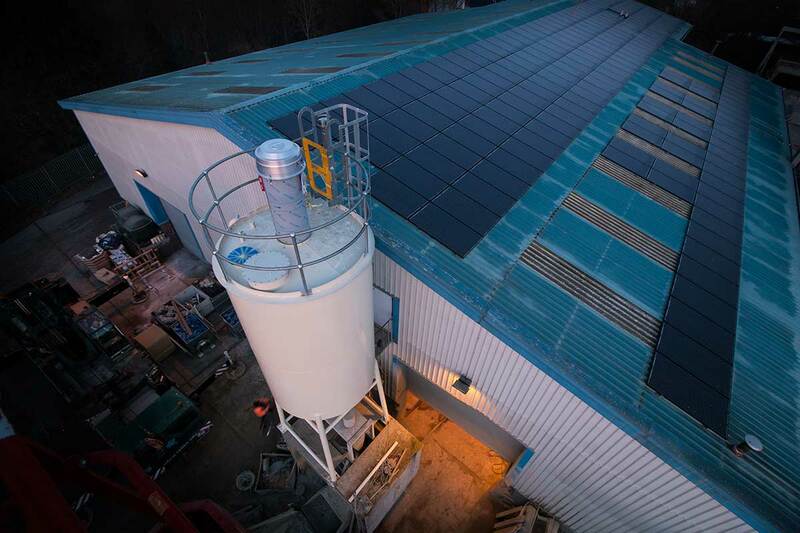 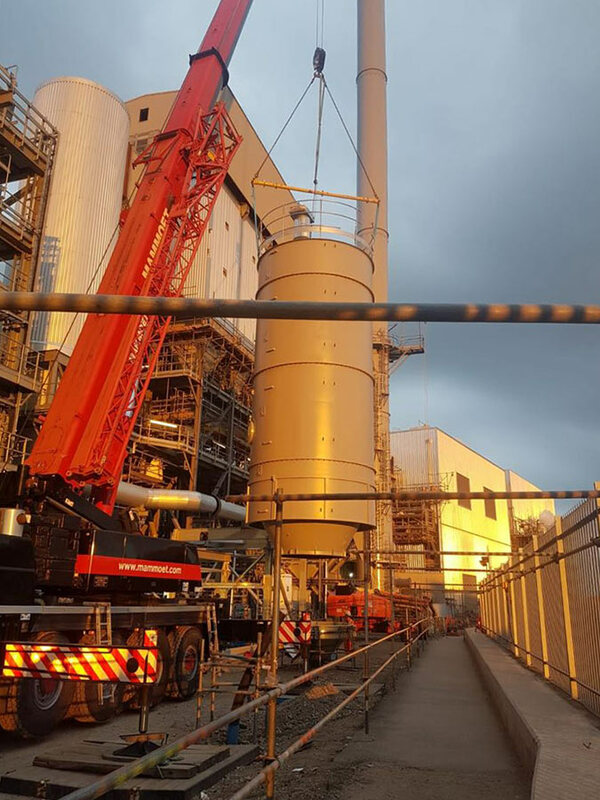 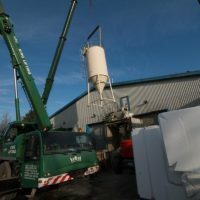 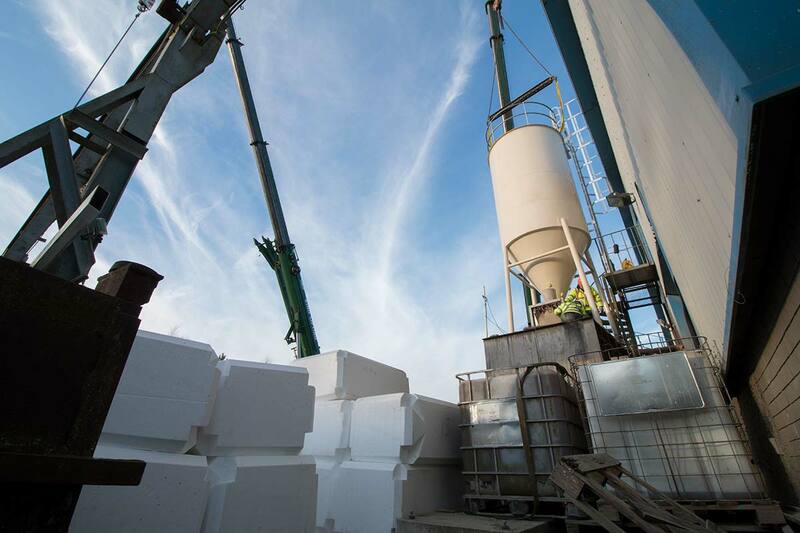 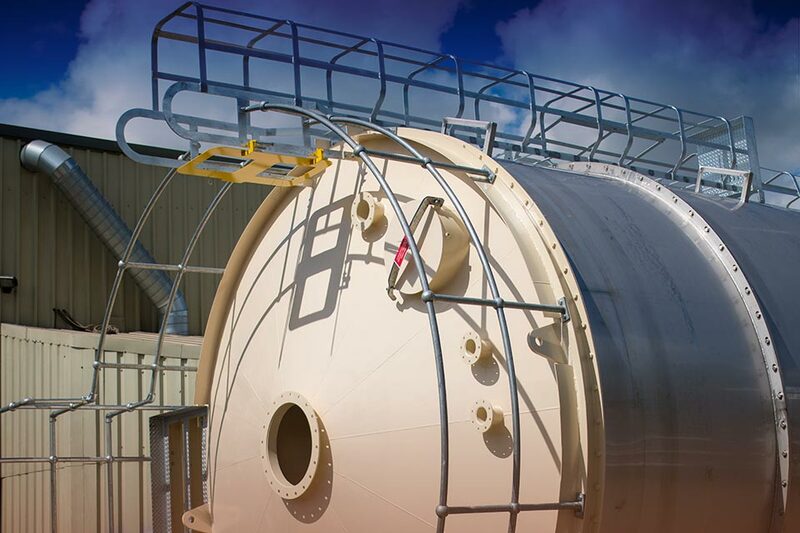 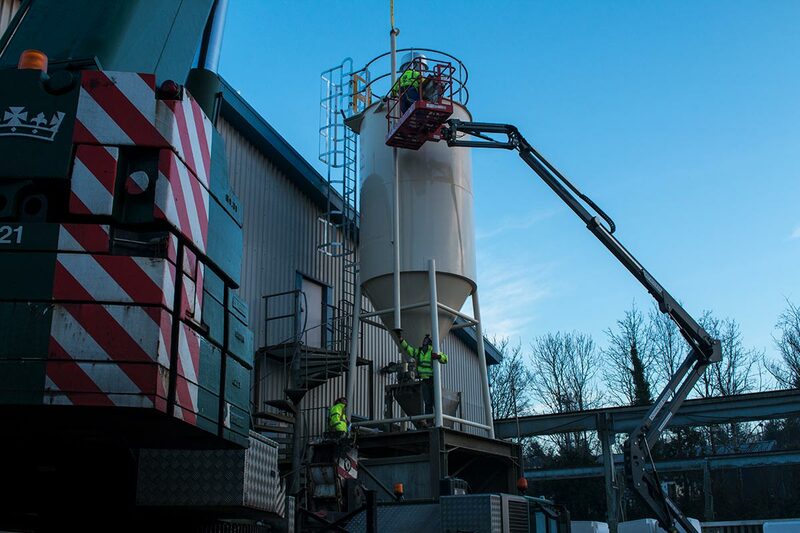 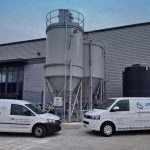 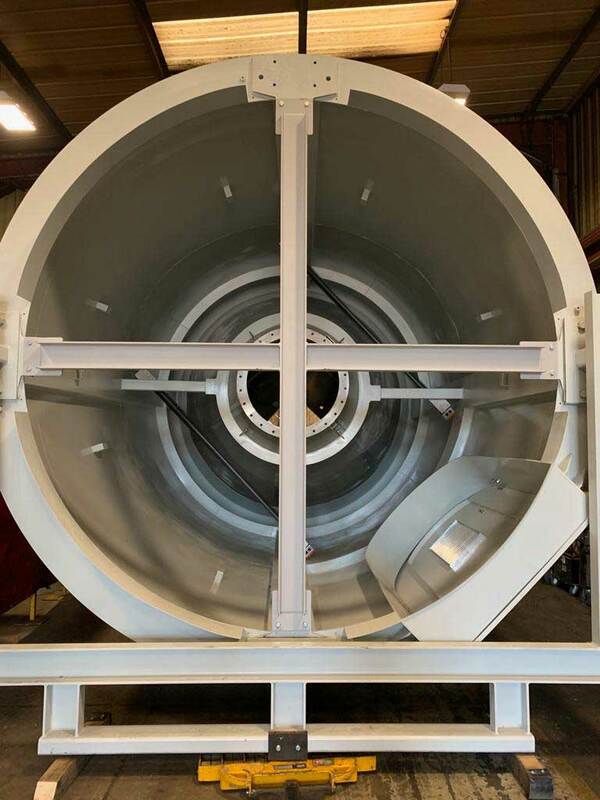 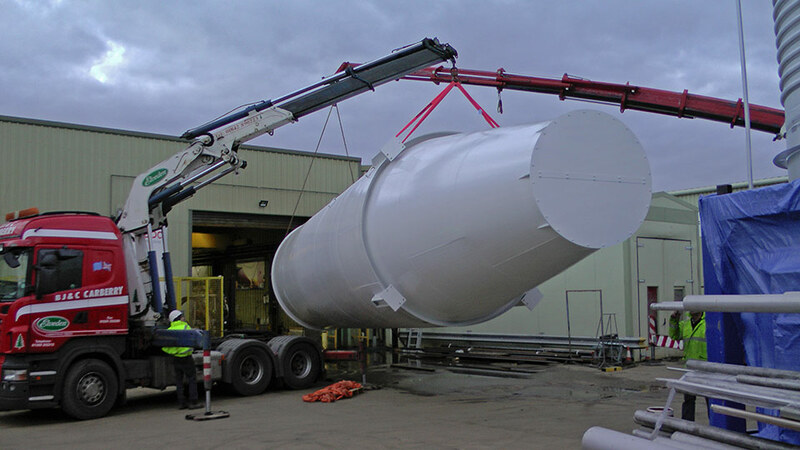 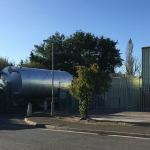 We manufacture robust, high-performance silos to suit all types and quantities of material and can design and manufacture to the specific requirements of your process. 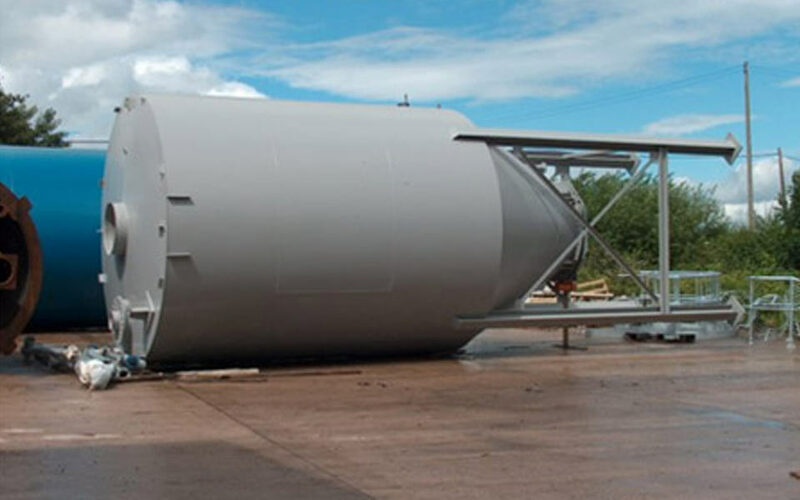 We have designed, fabricated and constructed silos for all the major industries and our experience in the bulk storage market places us as the leading fabricator in this field. 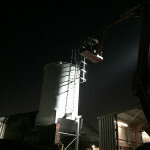 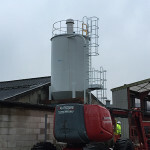 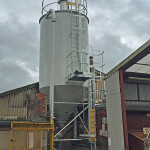 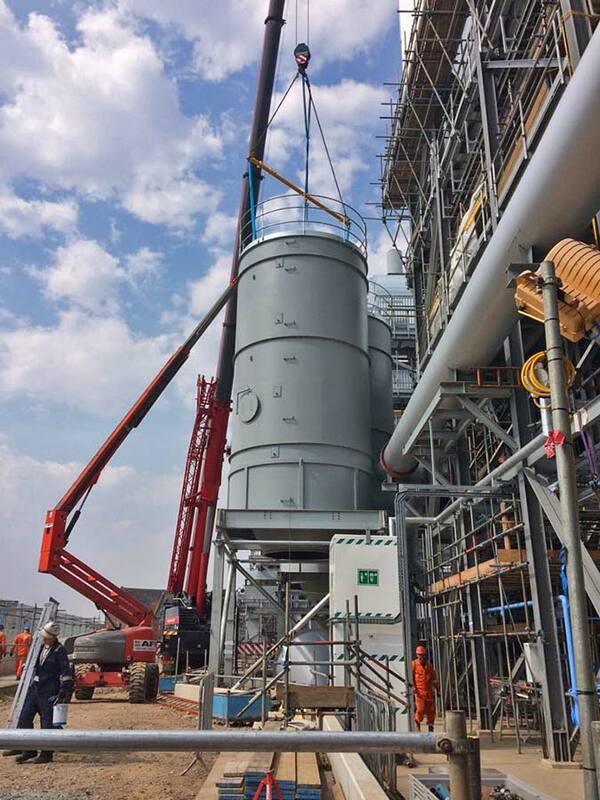 Many silos are often designed to fit within confined areas of operating sites, in these cases, jacking construction techniques can be utilised to allow for safe construction at low level. 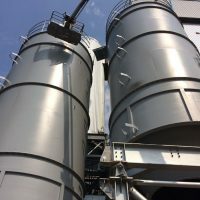 We can develop silos to store everything from foodstuffs and volatile chemicals to fine powders, fibrous materials or cohesive products. 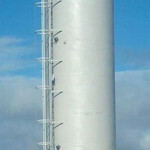 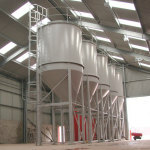 In addition, we offer a range of standard silo sizes in carbon steel, stainless steel and aluminium. 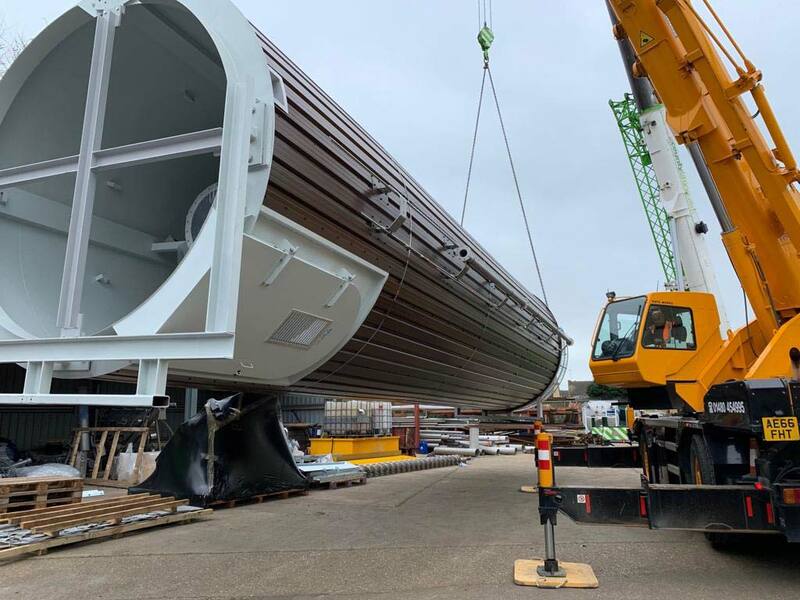 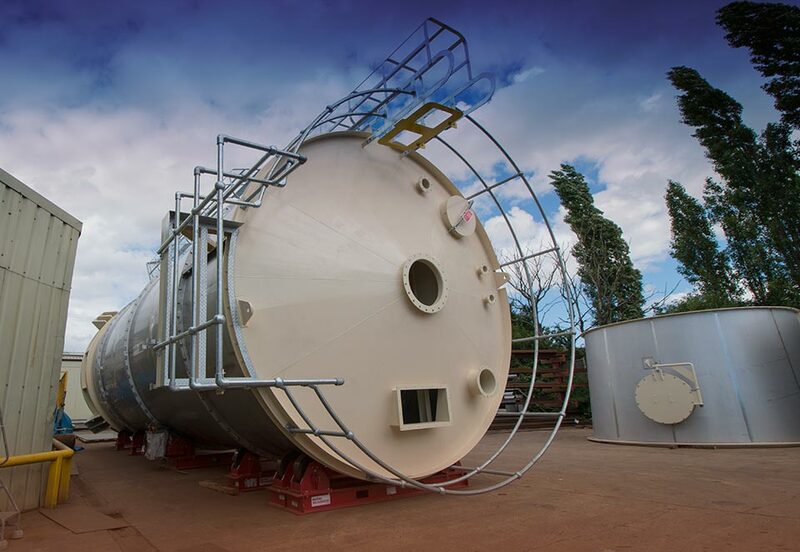 Our state-of-the-art manufacturing facilities enable us to fabricate complete, ready-to-install storage vessels up to 4 metres in diameter. 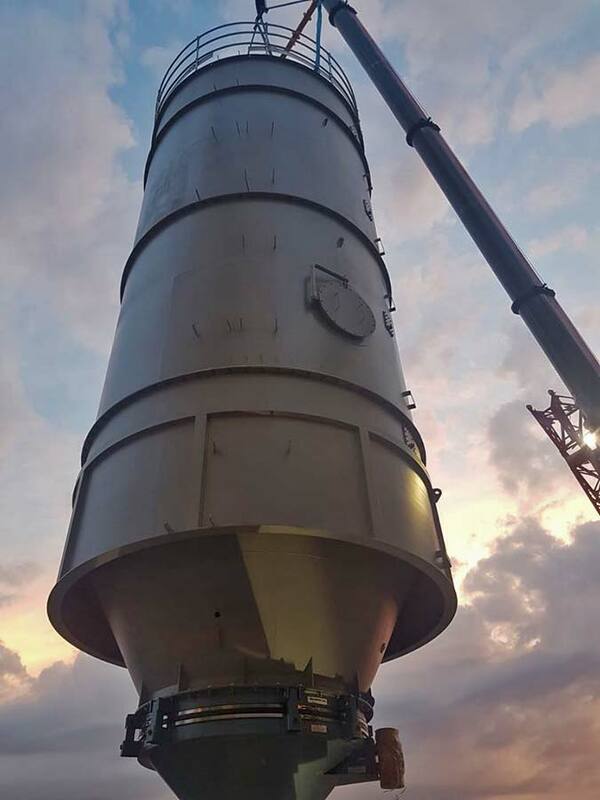 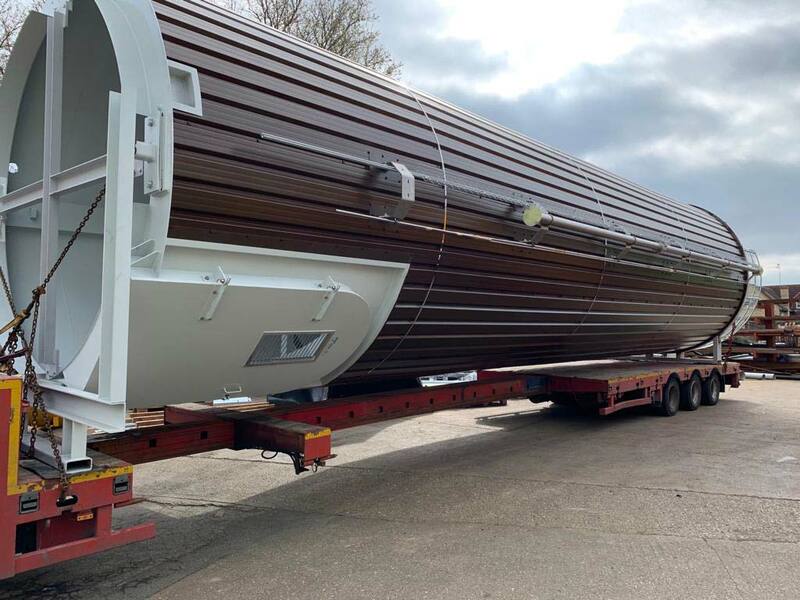 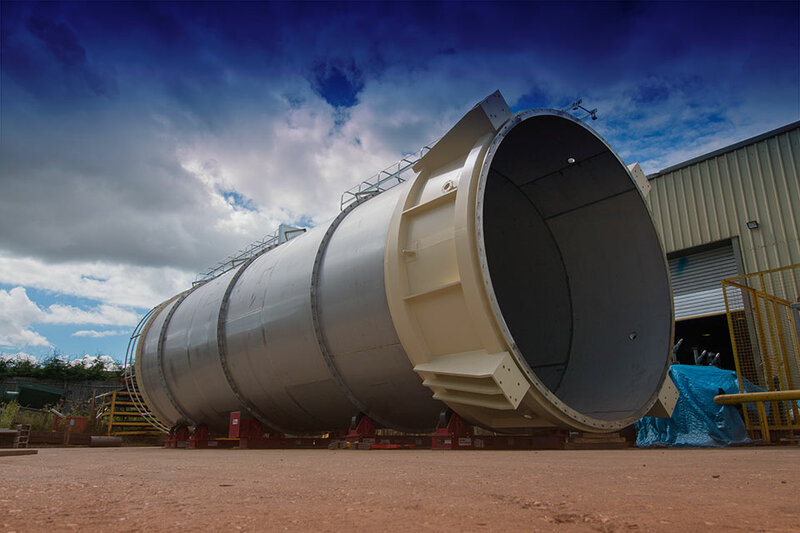 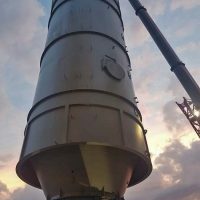 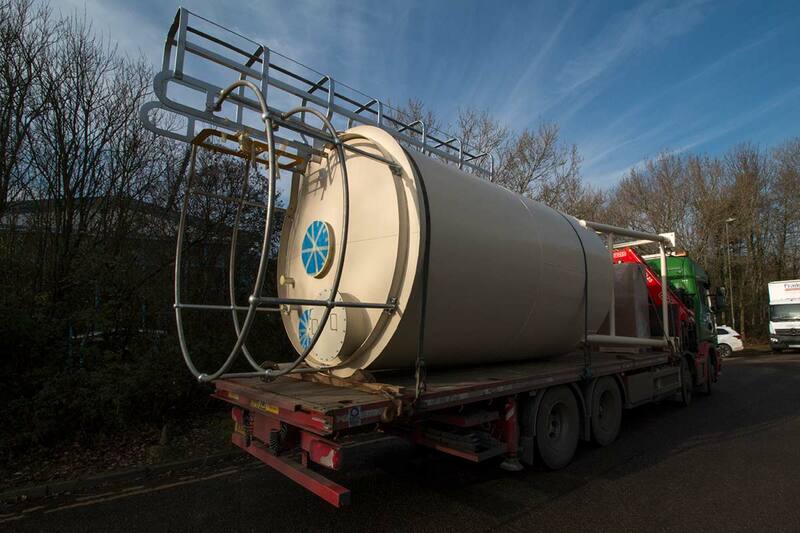 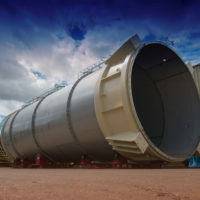 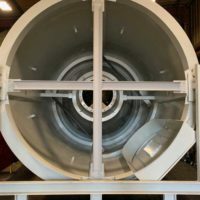 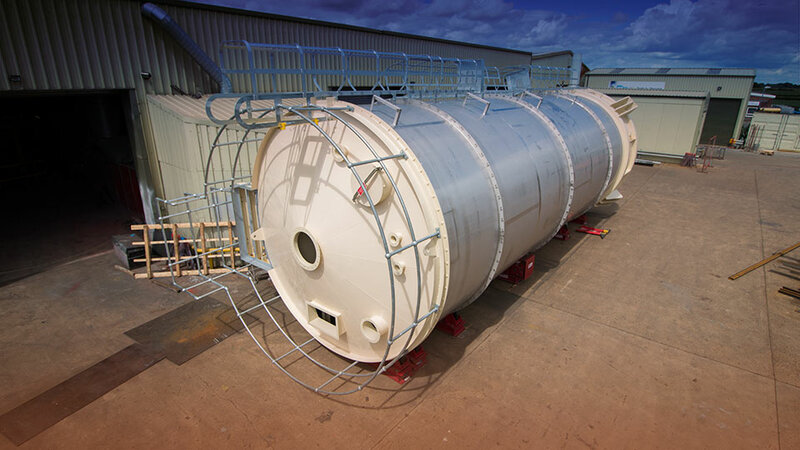 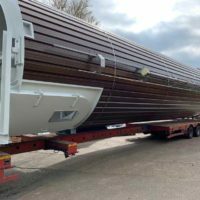 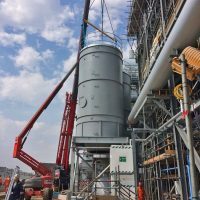 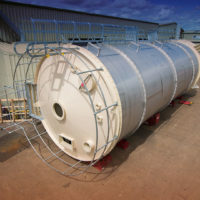 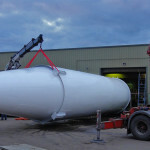 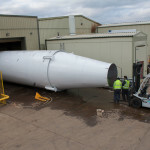 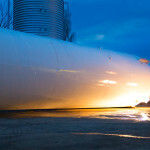 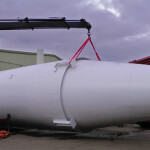 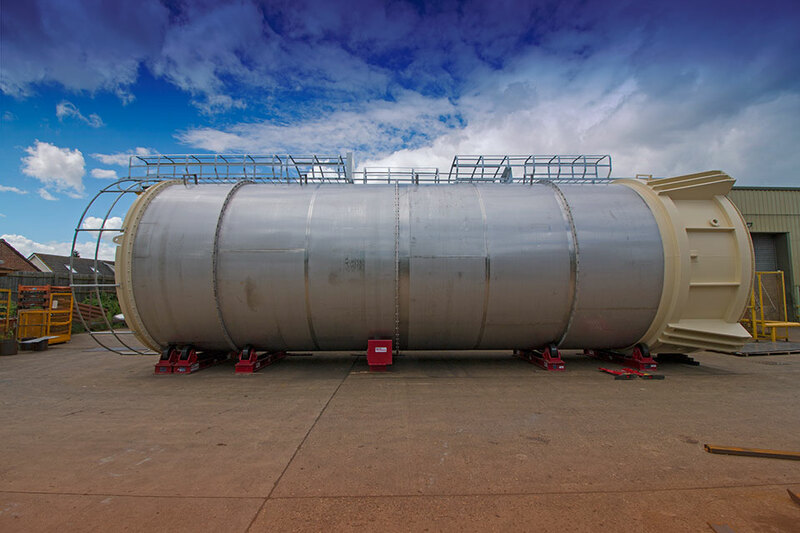 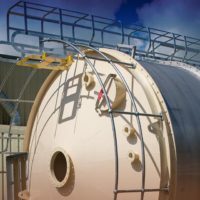 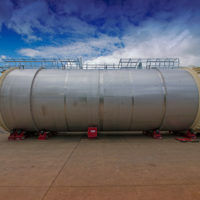 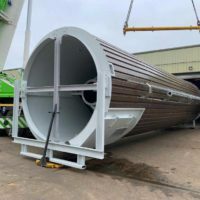 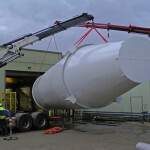 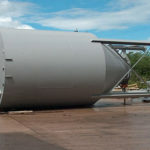 Uniquely, we can also manufacture much larger silos – up to 15 metres in diameter – in sections for ease of transportation. 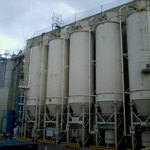 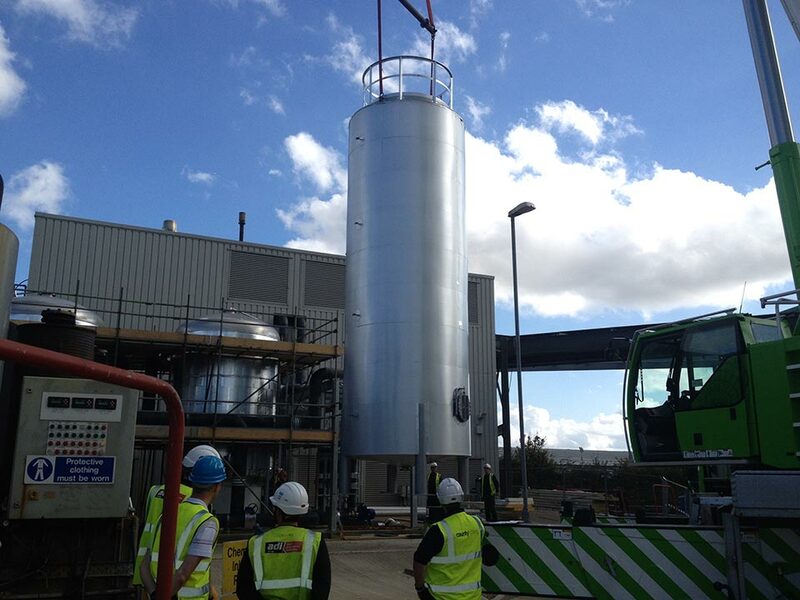 These site-built silos are assembled into the final storage vessel once on site. 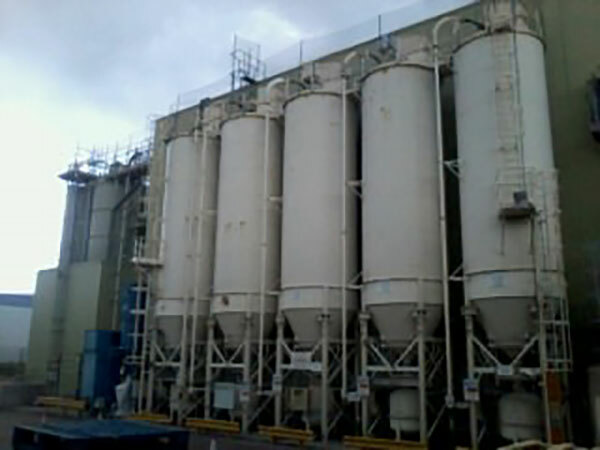 They provide a storage capacity of up to 5,000 tonnes. 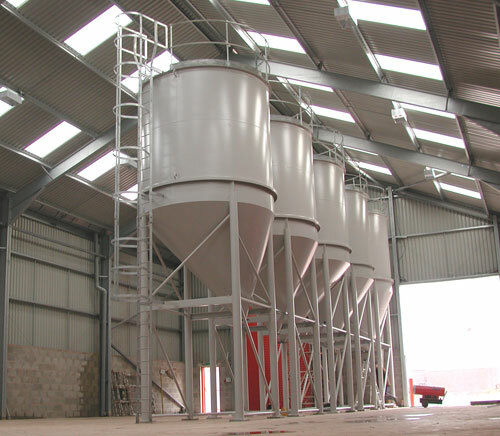 Our silos are available in capacities to suit your needs, from as little as 10m3 up to 2,500m3. 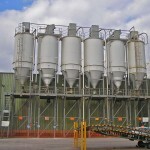 All our silos are designed in accordance with the latest BSI, ISO, DIN and VDI standards, where appropriate. 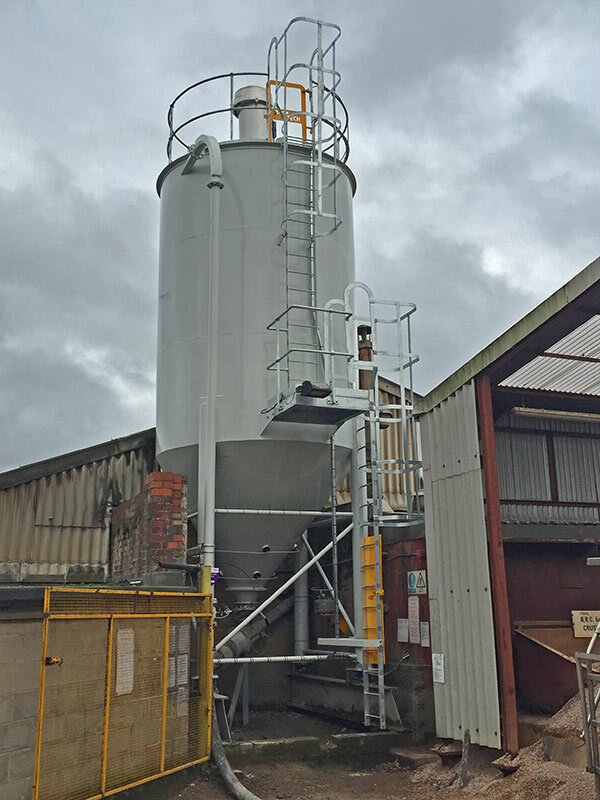 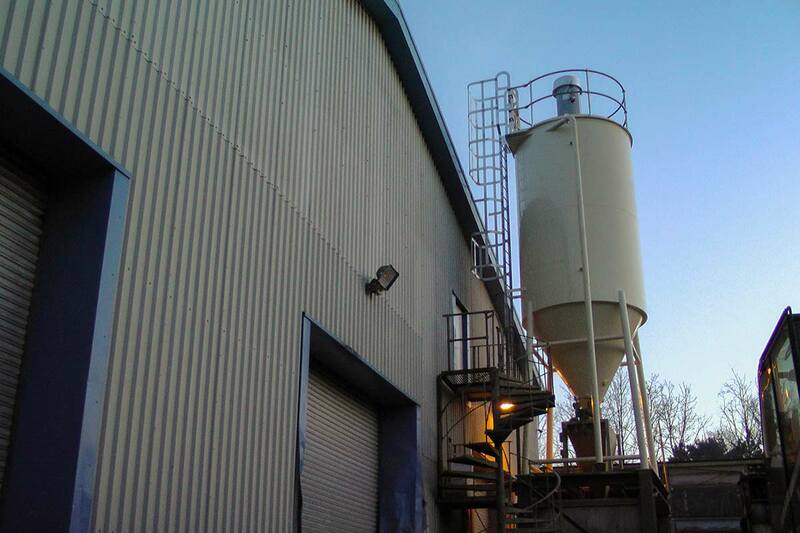 We can supply silos suitable for storing all types of bulk material, including potentially explosive or hazardous products. 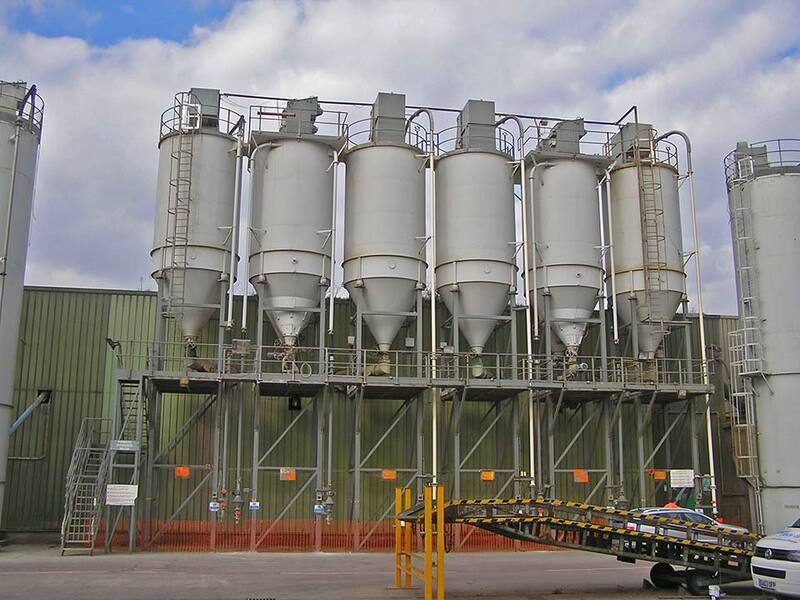 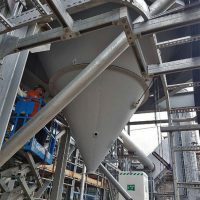 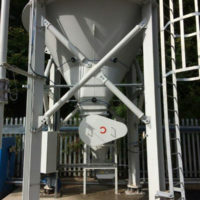 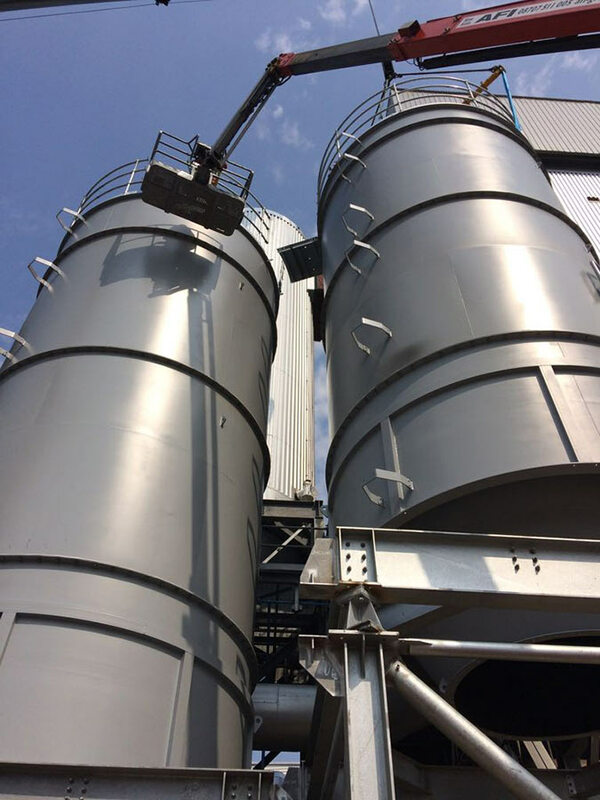 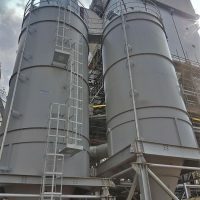 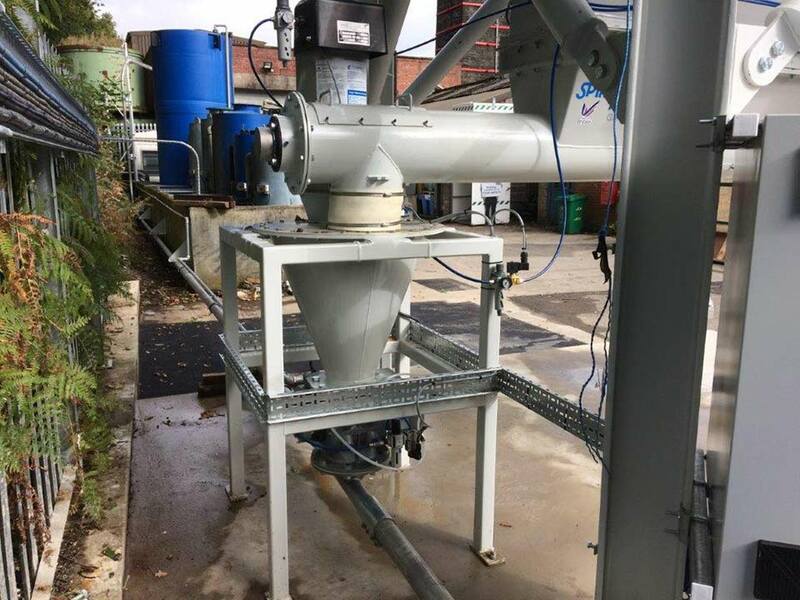 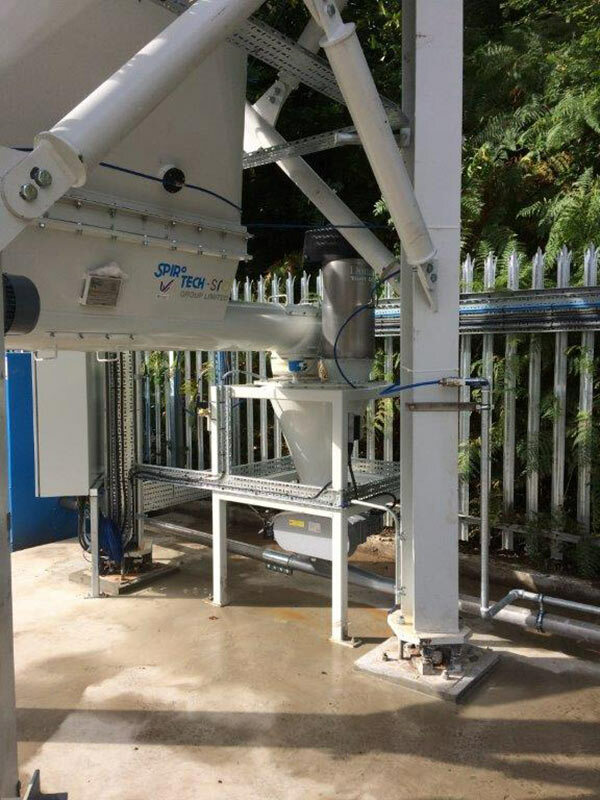 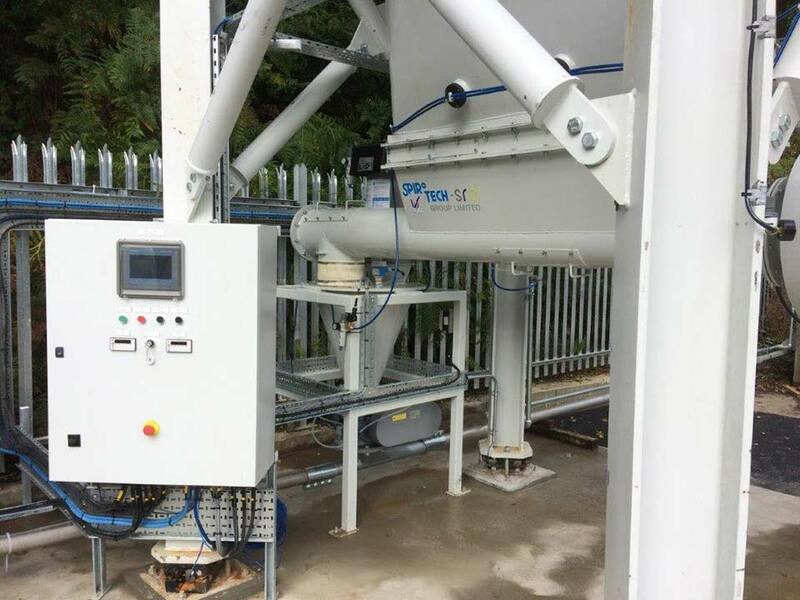 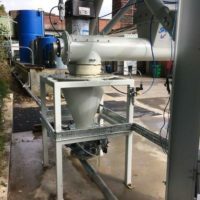 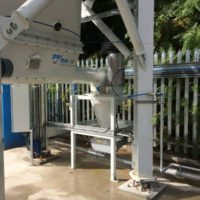 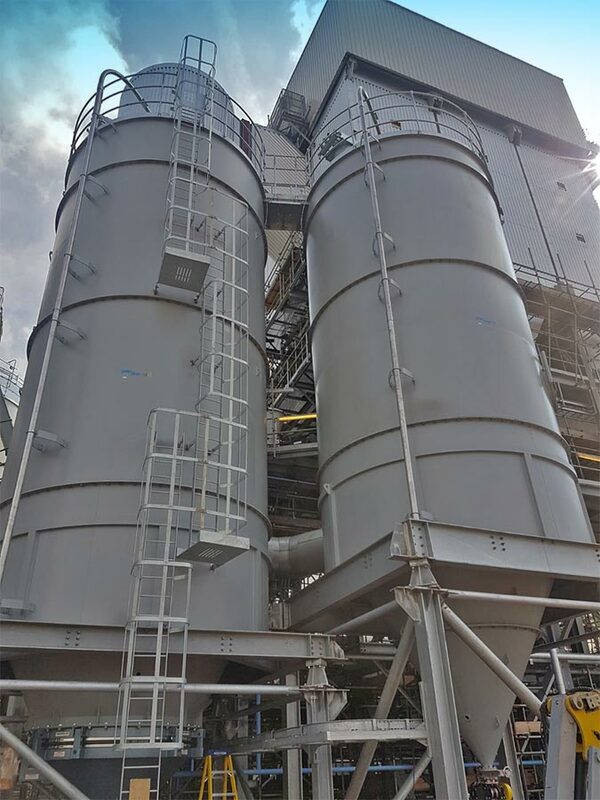 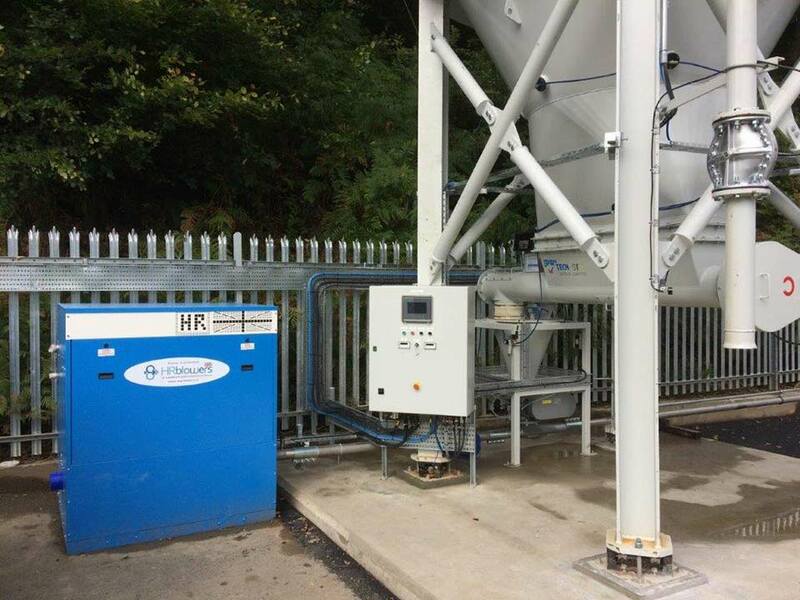 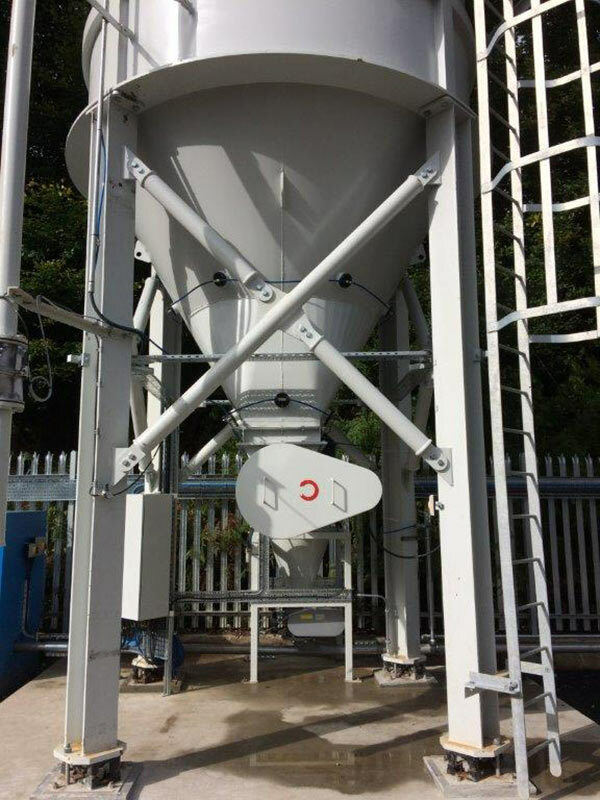 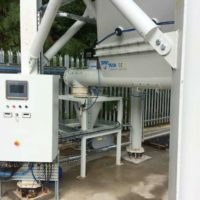 All silos are fully compatible with our complete range of dischargers, conveyors and ancillary equipment, such as filters and safety systems. 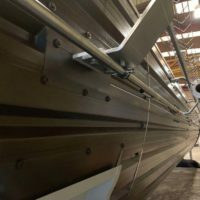 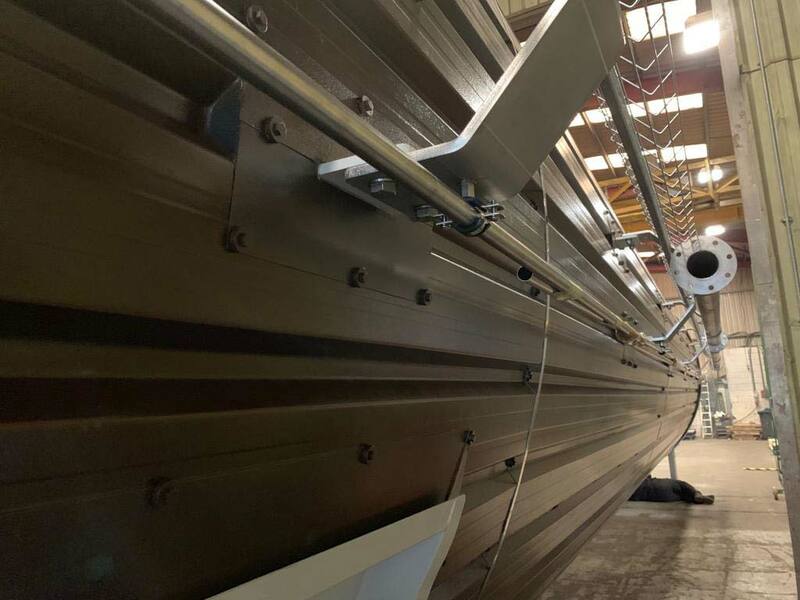 A variety of exterior finishes are offered including stainless steel wrap (either light gauge lapped or heavy gauge all welded), or the lower cost painted carbon steel outer shell. 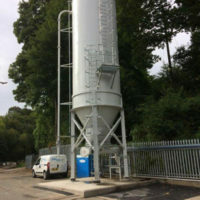 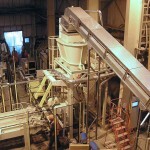 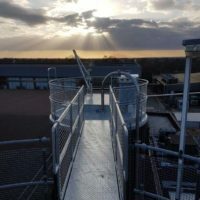 The silo base is a proven and unique design incorporating a series of Z rails that give unequalled support of the base of the product vessel to ensure long life of the entire structure.